Whether you are in town for a last minute Lake Tahoe vacation, or have been calling Lake Tahoe home for years, there is always time to pamper yourself with North Lake Massage & Skin Care. Leave the kids with grandma and book a spa day to rejuvenate tired minds and tense muscles. From massage to facials to airbrush tanning, North Lake Massage & Skin Care will take care of any relaxation goals. Camp Richardson Historic Resort & Marina: Let Your Vacation Dreams Come to Life! Ever imagine what it would be like to actually accomplish everything your vacation fantasies entail? There is a place where it happens all year round, and it’s called Camp Richardson Historic Resort & Marina. While the sun is still warm and the Lake Tahoe water is still irresistible, plan a South Lake Tahoe getaway and leave the stresses of daily life far in the distance. With all the relaxing and playing you will do, you won’t even remember you own a cell phone. With summer well underway and so much going on around Lake Tahoe, vacationers and summer residents might be starting to feel that mid-summer depletion of energy. 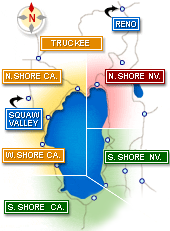 There is nothing quite like a much needed massage to give yourself the break you need, and Lake Tahoe Massage Therapy makes it so easy by coming to you! An hour massage might be just what you need to revitalize your body and replenish your mind. 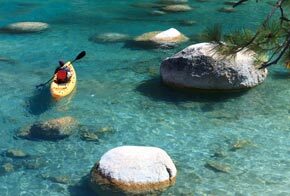 Tahoe Adventure Company spices up ordinary kayaking in Tahoe and presents kayak tours with a twist! 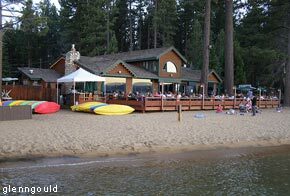 The Tahoe tour company features kayak excursions that are anything but ordinary with opportunities to glide over the water at sunset, stargaze with a well-renowned astronomer, paddle to a lakeside restaurant, and even arrive at the famous Thunderbird Lodge by kayak. Rarely there comes a hotel that exceeds all others and sticks out as one of those special gems. The Ridge Resorts Lake Tahoe is one of those one-in-a-million places, and takes guests by surprise by making any Lake Tahoe vacation unforgettable. 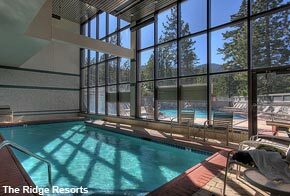 Quietly tucked between the magnificent pines, the Ridge Resorts Lake Tahoe is a mecca of relaxation and masterpiece of beauty. All hands on deck! This year’s South Lake Tahoe Wooden Boat Classic is taking place this weekend, July 26-27, so put on those boat shoes and hop on board! 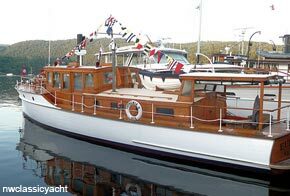 The weekend is sure to amaze, with the Thundering 30s theme being the biggest classic boat showcase the event has ever seen before. Billy Joe Tolliver won the 24th annual American Century Championship at Edgewood in South Lake Tahoe, beating 1990 (yes, 1990!!!) winner Mark Rypien on the 3rd playoff hole. Both Tolliver and Rypien are former NFL quarterbacks which bodes well for the job market for QBs after playing in the NFL. Tolliver seems to always be in contention winning the tournament for the fourth time. With days packed with so many Lake Tahoe activities, nights at this year’s Lake Tahoe SummerFest are perfect for decompressing. Guests are sure to be mesmerized by the incredible talent and enthralling notes at this season’s SummerFest concerts at the lake. 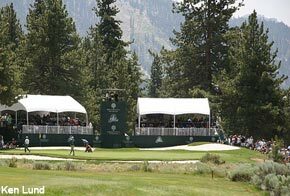 A more perfect setting cannot be imagined as visitors are invited to enjoy the magic of classical music within the natural beauty of Lake Tahoe. Keys Cafe in South Lake Tahoe is your one-stop shop for premium coffee, speciality food, decadent desserts, and fine wines. Run by Tahoe locals, this coffeehouse, restaurant, wine and dessert bar is a cozy cabin-like establishment filled with artwork and the smell of fresh roasted coffee. There’s no better way to spend a lazy Sunday in Tahoe than sipping on a glass of Coloma Syrah in the charming wooden computer room or noshing on a ham and swiss sandwich out on the inviting outdoor patio. 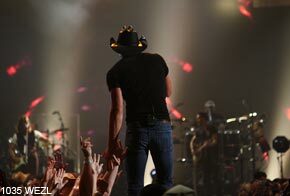 Lake Tahoe is the place to be for some of the best concerts this summer. 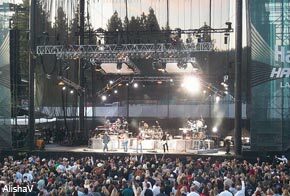 Some of the hottest local, regional, and national performances will take the stage at the Tahoe local venues that you won’t want to miss. After a day filled with exciting outdoor activities continue the fun into the evening with reggae beating drums, country picking guitars, and sing along hits. The Fab Four: Experience a Magical Mystery Tour of sorts with this Beatles tribute band at the South Shore Room Room inside Harrah’s Lake Tahoe on July 6, 2013.